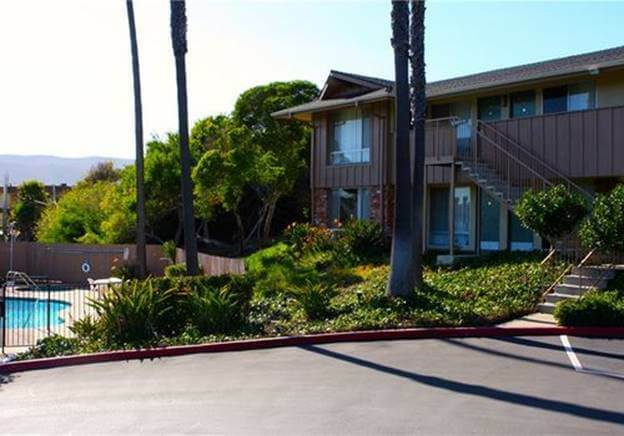 located at 2050 Garfield Street, San Luis Obispo, CA 93401, USA is only 1.2 kilometers away from the city downtown. The hotel is also located about 8 kilometers away from the Tolosa Winery. 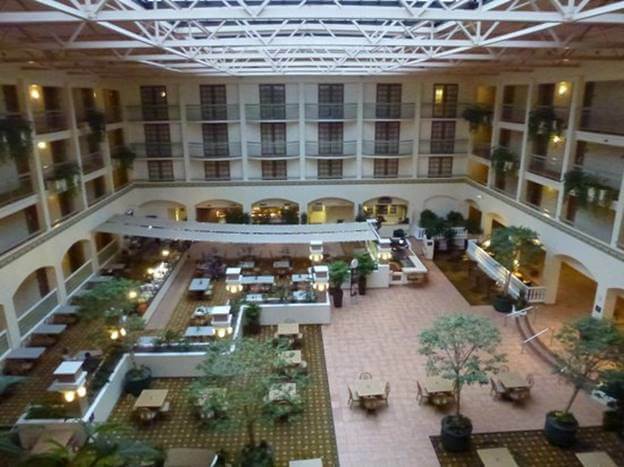 It offers spacious rooms with the Wi-Fi, and continental breakfast served every morning. The spa, outdoor swimming pool, and fitness center is located on the territory of the hotel and enabled the passengers staying at the hotel to enjoy the time there. Each room is equipped with a microwave, refrigerator, coffee machine, etc. The price for a one-night stay at the hotel is $129, and breakfast is already included in the price. located at 210 Madonna Road, San Luis Obispo, CA 93405, USA is 2.6 kilometers from San Luis Obispo downtown. The hotel provides a free parking area for those staying there. All rooms are equipped with the TV, microwave, and refrigerator. A free continental breakfast is served into the rooms every morning. An outdoor swimming pool is offered for the guests of the hotel as well. The price for a one-night stay is $95, and the breakfast fee is already included in the price. located at 1631 Monterey Street, San Luis Obispo, CA 93401, USA is 0.75 kilometers away from the city downtown. The hotel provides free shuttle rides to and from the airport as well. 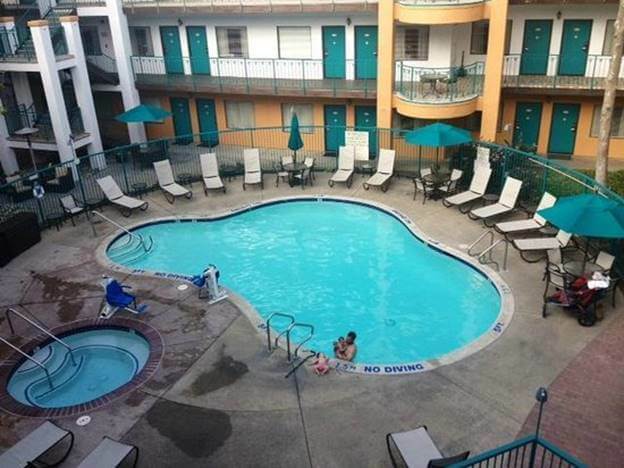 Guests of the hotel might enjoy a hot swimming tub, heated pool, workout room. The price for a one-night stay is $219, and the breakfast fee is already included in the price. located at 1604 Monterey Street, San Luis Obispo, CA 93401, USA is only 0.75 kilometers away from the city downtown as well. The hotel allows using the outdoor swimming pool, as well as the hot bathtub. Each room is equipped with the flat-screen TV, free toiletries, coffee and tea facilities, refrigerator, etc. A fitness center is available on the territory of the hotel as well. The price for a one-night stay is $149, and the breakfast fee is already included in the price. 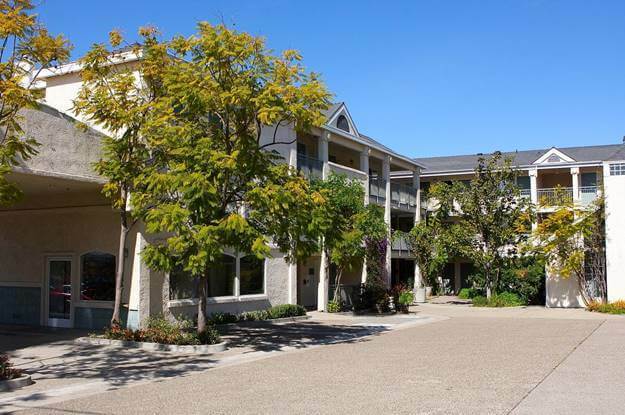 located at 333 Madonna Road, San Luis Obispo, CA 93405, USA is 2.9 kilometers away from the city center. 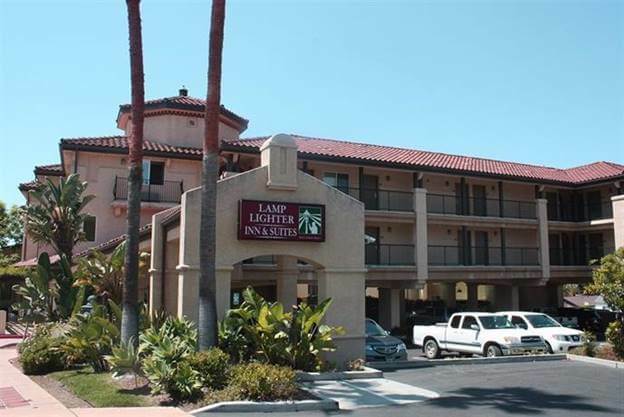 The hotel is only a few minutes away from the golf courses, wineries, etc. The hotel's Greenhouse Grill & Cafe offers a range of snacks, drinks, and dishes. Each room of the hotel is equipped with the mini-refrigerator, microwave, coffee, and tea facilities. The fitness center and swimming pool are provided on the territory of the hotel as well. The price for a one-night stay is $254, and the breakfast fee is already included in the price.